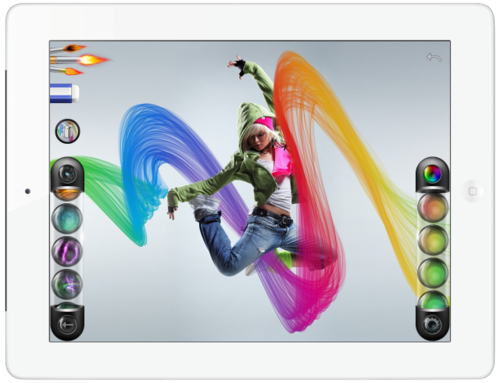 We are very happy to announce, that from today you can download Flame Painter for iPhone and iPad from the App Store. We created Flame Painter because we believe that every one of us can be an artist, we just need an inspiration. That is why Flame Painter was born. Now we released a new edition for iPhone and iPad, which not only offers new ways of creative painting, but we designed a beautiful and intuitive user interface to enjoy and have fun with flame brushes, colors and gradients. We believe that it encourages every grown up and every child to discover and awake an artist within more easily. Application is free, with In-App purchase (iPhone $0.99, iPad $2.99) which allows you to create your own brush presets and gradients. Please note - we found out a small bug - it is not possible to make an in-App purchase in iPhone edition, but you can still try out all the features - press “Trial” button. In iPad edition the in-App purchase works correctly. …and we believe you’ll love it!